Further to the recent post mulling over the design for the new members’ card, I popped into the Guildhall Art Gallery last Wednesday, knowing they have lots of wonderful London images (many thousands, in fact, most of which archived). One which I didn’t pick up on earlier is this wonderful painting. 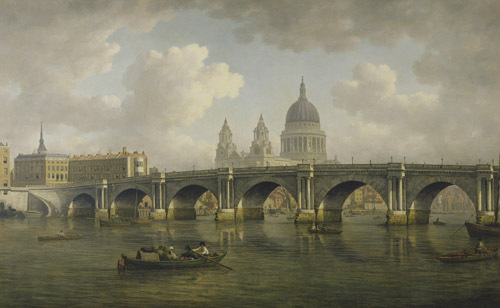 Blackfriars Bridge and St Paul's by William Marlow (1788), Guildhall Art Gallery. 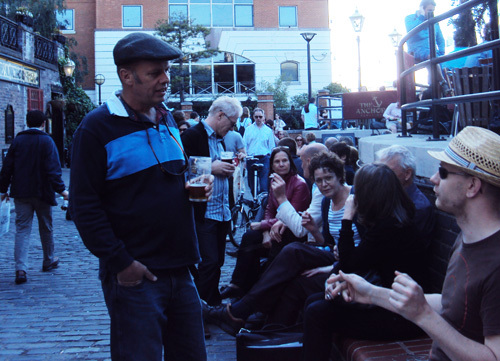 A quick straw poll among a group of members and followers made this the unanimous favourite. I had decided to avoid St Paul’s and the Palace of Westminster as being a bit touristy, but I think we’ll just have to break this self-imposed rule, partially because of the quality of the painting, but also because it includes a lovely depiction of old Blackfriars Bridge. The third to be built in Central London after London Bridge and Westminster Bridge, Blackfriars was opened in 1769, hence it was very new when this painting was made in 1788. 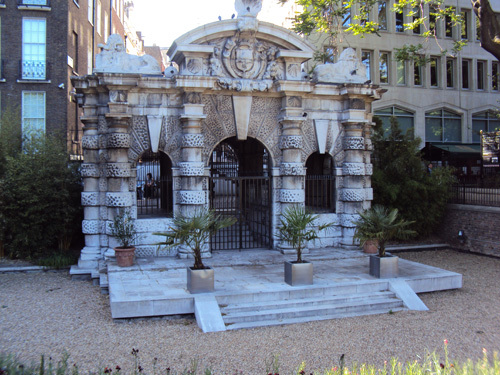 Designed by Scotsman Robert Mylne when still in his 20s and made using Portland stone, it was a very handsome structure. 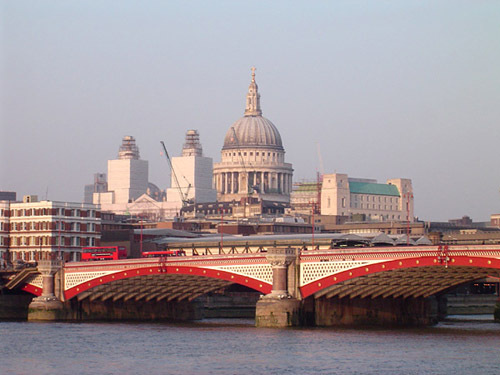 However, it had a history of frequent repair work and eventually got replaced exactly a hundred years later by the current bridge, opened by Queen Victoria herself in 1869. 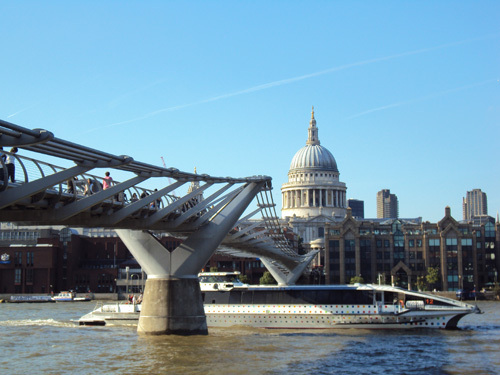 Designed by Thomas Cubitt and built out of wrought iron, I think this too is very fine-looking bridge. 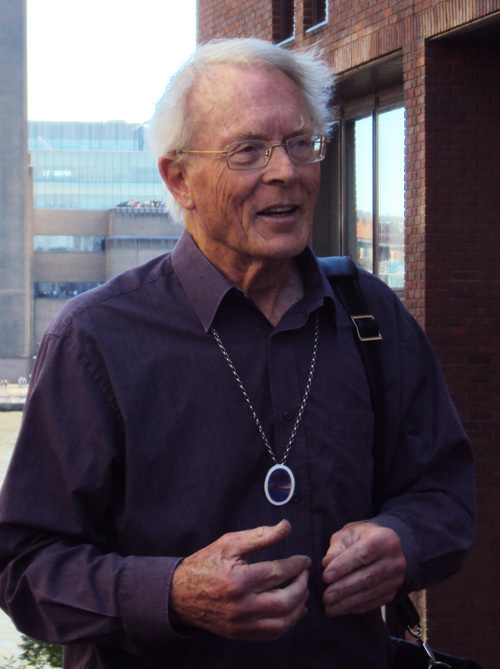 Here is a picture from a similar viewpoint as the William Marlow picture. 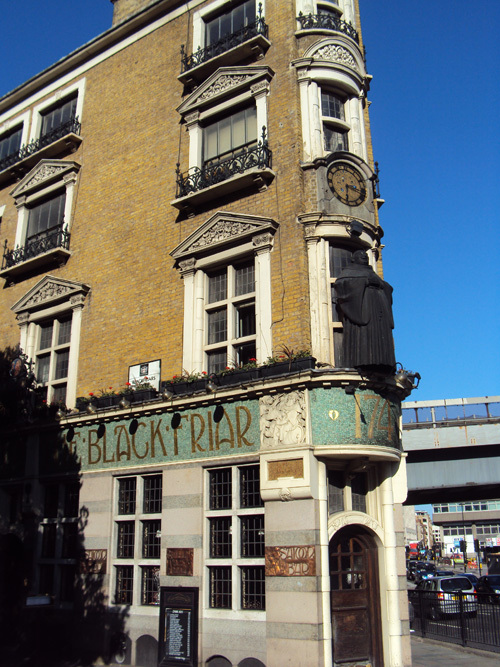 This view will once again be substantially different when the Blackfriars Station redevelopment is complete. Getting back to the Guildhall Art Gallery again for a moment, along with Dulwich, the Wallace Collection and the Courtauld, it is one of my favourites outside of the grand collections such as the National, Tate etc. Entrance is free and I thoroughly recommend a visit. 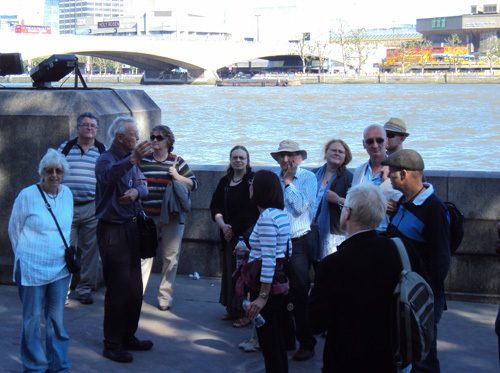 We’ll be organising a London Historians guided tour in the near future. 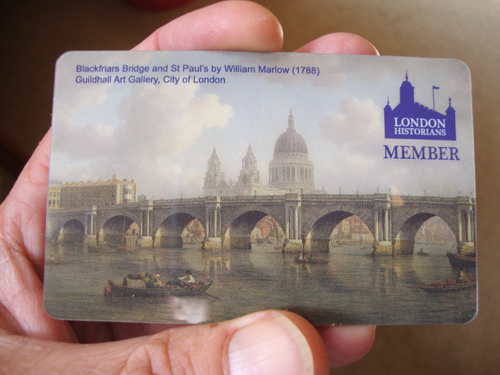 Here is the factory prototype of the new members’ card, which I signed off on Friday. Very pleased with it. Personalised versions for all new members who have joined since 1 September should be ready by the end of the week.